Moisture is essential to keeping skin and hair looking healthy, supple and smooth. 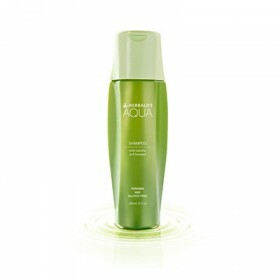 Moisture is what HERBALIFE® AQUA Conditioner brings in abundance to your hair from root to tip. Combining natural botanicals, HERBALIFE® AQUA gives your crowning glory a vitalizing glow from the inside out. Keeps hair and scalp soft and moisturised Protects cuticles and smooth-coats hair for natural shine and silky feel Paraben free formula is perfect for daily use Fruity. Conditioning your hair without weighing it down, while counteracting the environmental stressors hair is exposed to each day. Safe and gentle for the whole family. 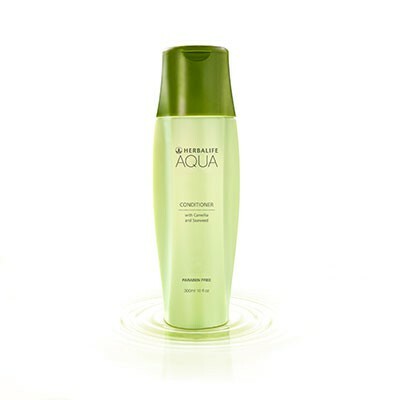 Use with HERBALIFE® AQUA Shampoo for best results. After shampooing with HERBALIFE® AQUA Shampoo, massage conditioner into hair. Leave on for 1-2 minutes and rinse thoroughly.